I will be exhibiting at the Visual Arts Center at the Washington Pavilion of Arts and Science in Sioux Falls from December 4, 2009 through February 4, 2010. The reception is December 4th from 5:30–7:30 pm. This show pairs visual artists with poets. My work is a collaboration with poet and writer Elizabeth Oness. I am currently at work on installing a nearly 40,000 sq. ft. terrazzo floor for the University of Alberta in Edmonton. The design is a collaboration with the ONPA and Flad Architectural design team for the Centennial Centre for Interdisciplinary Sciences. The principal organizing element I have utilized for the floor design is to treat the surface with overlapping and interwoven imagery to visually bring together the multiple fields of inquiry: Integrated Earth and Landscape Management, Nanostructures and New Materials, Resource Geosciences, Chemical Biology and Proteomics, Planetary Dynamics, and Physics. To accomplish this, I began by searching out what we share in common. Art, like science, shares a deeply rooted bond in an emotional, if not spiritual, sense of awe, and artists, like scientists, often begin their work from careful observation. The world is full of expression and gesture if we remain receptive to the unexpected, the overlooked, or the forgotten. Walking across this floor should offer a sense of journey and discovery, like education itself. I would like for people to come, think, sit, and wonder—bridging their ideas and thoughts to what it is they have come here to study and what they see in the floor, combing what Loren Eiseley describes as the Immense Journey, one to the interior of the human mind. What follows are a series of images of the terrazzo installation process underway. 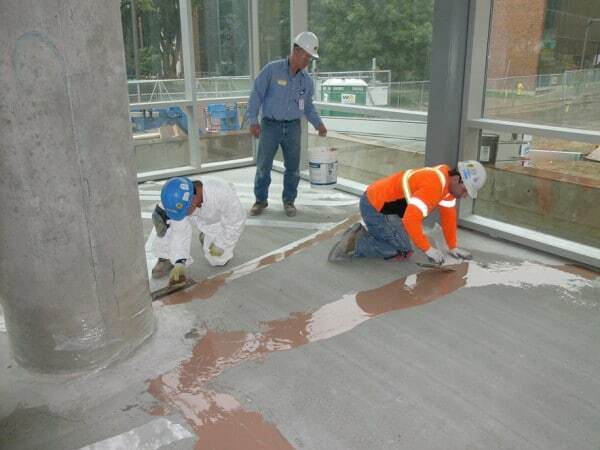 The terrazzo work is being performed by Franklin Terrazzo and ANTEX Western; PCL is the General Contractor. Final completion of the work will be the winter of 2010-11. Pouring turtle parts for the Berkeley project at BronzeAge Art Casting in Sioux Falls. 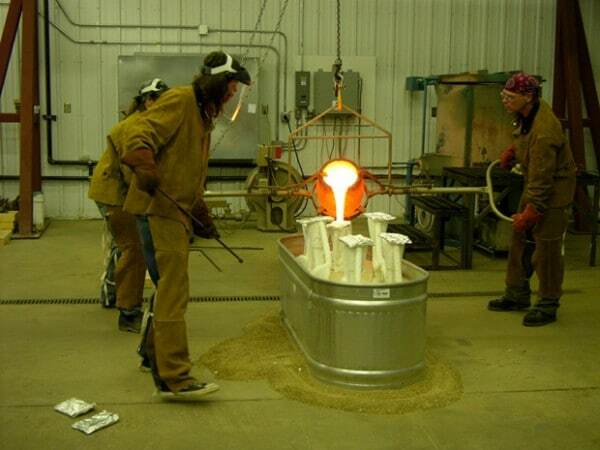 The bronze is approximately 2,150 degrees Fahrenheit at this point.